Sunroof, Blind Spot Display, Heated Seats, Automatic Braking, Lane Keep Assist! This molten lava pearl SUV has an automatic transmission and is powered by a 1.5L I4 16V GDI DOHC Turbo engine. 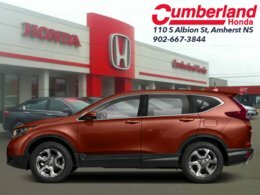 Motivated by that frugal motor it gets 8.7 L/100 km in the city and uses just 7.2 L/100 km out on the highway according to Transport Canada. 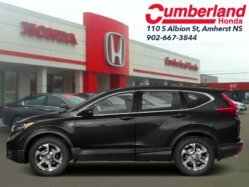 Our CR-V's trim level is EX AWD. 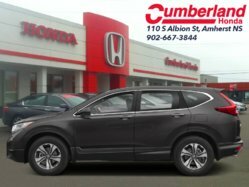 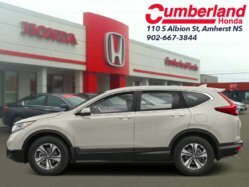 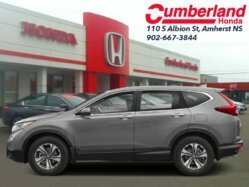 This CR-V EX has amazing features like a power drivers seat, woodgrain interior, a moonroof, automatic high and low beam headlights, dual-zone automatic climate control, remote start, heated seats, LED daytime running lights, heated power mirrors, and aluminum wheels. 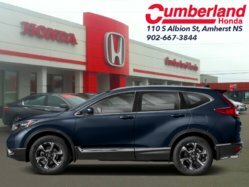 The infotainment system includes 7 inch touchscreen with HondaLink, HomeLink home remote system, HandsFreeLink bilingual Bluetooth, Apple CarPlay, Android Auto, rear view camera, and a 6 speaker sound system. 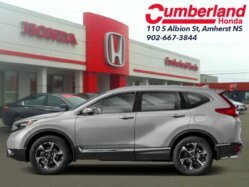 You even get a host of safety features such as automatic collision mitigation braking, forward collision warning, lane departure warning, road departure mitigation, and lane keep assist, and a blind spot display. 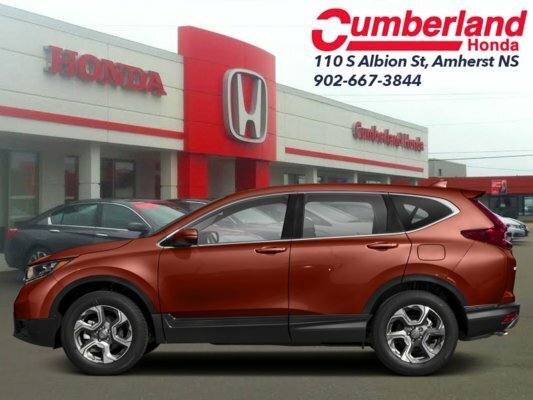 This vehicle has been upgraded with the following features: Sunroof, Blind Spot Display, Heated Seats, Automatic Braking, Lane Keep Assist, Rear View Camera, Apple Carplay.